Spirit Cars 1927 Ford Model T Roadster super kit. Everything below that is listed is what you get with the kit. 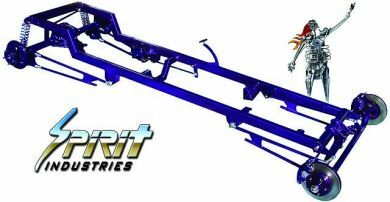 You will need to supply the motor, transmission, drive shaft, windshield glass, wheels, tires, and little accessory you may want like mirrors, seatbealts, radio and etc. 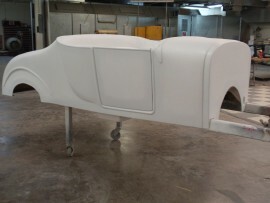 1927 Body Kit with Floor, Battery box, dash and interior insert installed! The body comes with 2 working doors and decklid that are hinged and latched!!! 10 Bolt Drum rearend housing with welded brackets. The rearends we get from salvage yard and clean the up and weld our brackets on them. There is no guarantee on the gears and everything else is just an added bonus. We are selling the housing only. You can upgrade to 8.8 (disc) for $200 more. You can upgrade to new 9 inch rearend also. Also we offer a new disc brake kit for the 10 bolt drum rearend for $350.